When classic horror movie star Basil Coates becomes the victim of a series of scary pranks, the local police put it down to a crazed fan. Just pranks, after all... 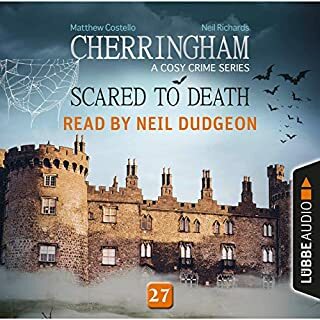 But with Halloween only days away, the spectre of murder suddenly visits the ghostly Coates mansion on the hill outside Cherringham - and Jack and Sarah find themselves caught in a mystery worthy of Basil's spookiest roles... Cherringham is a serial novel à la Charles Dickens, with a new audio episode released every two weeks. Sharing lodging in the sleepy English village of Walmsley Parva has eased some of the financial strain on the two old school chums, but money is still tight in these years following the Great War. So when the local vicar - and pigeon-racing club president - approaches them with a private inquiry opportunity, the ladies accept. There's been a spot of bother: The treasurer has absconded with the club's funds and several prized birds. But when they visit the man's loft, they find their elusive quarry lying in white feathers and a pool of crimson blood - the only witnesses cooing mournfully. I Do So Love This Pair Of Sleuths..! !..Hilarious Highbrow Hijinks..!! 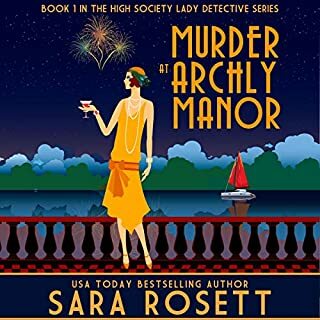 Kat Stanford is just days away from starting her dream antique business with her newly widowed mother Iris when she gets a huge shock. 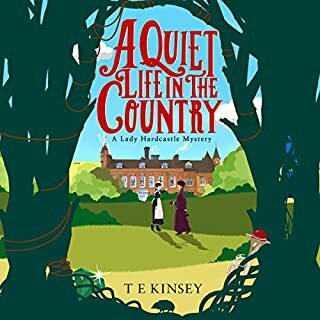 Iris has recklessly purchased a dilapidated carriage house at Honeychurch Hall, an isolated country estate complete with eccentric lords and ladies and butlers and cooks. When a secret from the past comes back to haunt Iris, Kat realizes she hardly knows her mother at all. 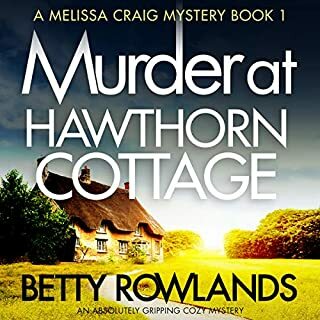 And when the bodies start piling up, it is up to Kat to unravel the tangled truth behind the murders at Honeychurch Hall. Meg Langslow's summer is not going swimmingly. In her small Virginia hometown, she's the maid of honor at the nuptials of three loved ones - each of whom has dumped the planning in her hands. One bride is set on including a Native American herbal purification ceremony while another wants live peacocks on the lawn. But when an offensive newcomer, who hints at skeletons in the guests' closets, is found dead under suspicious circumstances, level-headed Meg's to-do list extends from flower arrangements and bridal registries to catching a killer - before the next event is her own funeral. The blacksmith wins the day! She keeps house for Inspector Witherspoon...and keeps him on his toes. Everyone's awed by his Scotland Yard successes - but they don't know about his secret weapon. No matter how messy the murder or how dirty the deed, Mrs. Jeffries's polished detection skills are up to the task...proving that behind every great man there's a woman - and that a crime-solver's work is never done. I've read several Mrs. Jeffries stories and enjoyed them all. It was fun to catch the first in the series. Having some more background on all the characters gives the following stories more depth. I'll be reading another soon! I can't understand how this book managed to get anything other than one star. I finished this book hoping that it would get better, but it was bad from start to finish. Who wants to read about a fumbling bumbling detective that is not only incapable of solving a case, but doesn't even know when someone is making fun of him. The way the case was solved with the help of his household was not entertaining but ridiculous. I'm going to have to get my credit back for this one! If you could sum up The Inspector and Mrs. Jeffries in three words, what would they be? Which character – as performed by Lindy Nettleton – was your favorite? Mrs. Jeffries is vividly portrayed. She's no-nonsense but very devoted to her employer. I really wanted to like this book. I love the cover and I enjoy stories set in England, but try as I might I just couldn't warm up to it. I did try 3 times. 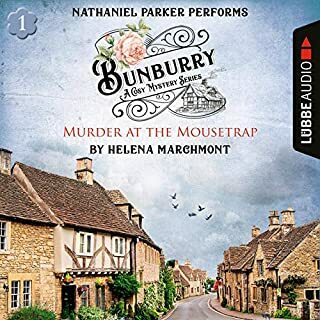 I liked that Mrs. Jeffery was covert about her investigations into the murder of the doctor and I liked that the other staff members enjoyed helping her. Beyond that, this book just wasn't for me. 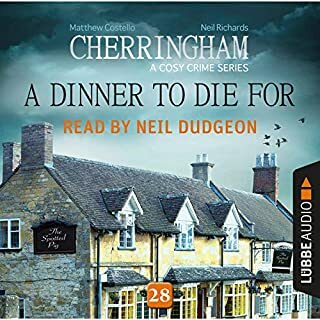 This book has an unlikely premise - an inept Scotland Yard inspector receives assistance in solving crimes from his housekeeper. He's so inept he doesn't even realize she is helping him. I don't want "realism" from cozy mysteries. What I look for are interesting characters (quirkiness helps), at least moderately complex plots and a good narrator. A little humor adds to my enjoyment. The narrator of this book is fine. However, the characters seemed bland to me. The inspector was so clueless he annoyed me. There wasn't enough humor to overcome these problems. I listened to about 70% of the book and gave up. I just didn't care how it ended. I love mysteries, including many cozy mysteries, but I just couldn’t stand this dumb as bricks detective and the one-dimensional housekeeper main character. Almost read like a book for middle schoolers. wow, I was an Agatha Christie fan but this author is better.I want to keep reading all the books. this is a series.Mrs. Jefferies is great because you can picture in your mind what's going on step by step. I don't even care...just stop talking, please. Would you try another book from Emily Brightwell and/or Lindy Nettleton? What was most disappointing about Emily Brightwell’s story? The main character is lost in a sea of cut outs and caricatures--most with really bad accents. But, accents aside, the story is just a big, lumbering lummox of a thing; tedious and ill-conceived. The author has forced outrageous stupidity into the Detective Witherspoon character--a SY detective!-- for the purpose of creating the Mrs Jeffries (smart servant helps hapless employer while giving employer all glory and making same believe he is the smart one) character. Yawn. I made it through the South Texas for American accent on one of the 10000 minor characters- because, I've heard much worse- but the Frenchie French-French maid did me in. Mrs. Jeffries, taken out of the employ of the buffoon SY detective, and allowed to solve cases on her own, could be of interest. Even the narrator seemed to recognize that this role deserved her best effort. But she (Mrs J) just labors and labors the point of 'oh, sirrrh; aren't you clever..?' Like a mother encouraging a backward child through sheer, slavish indulgence. Maddening. I love this series and I love Lindy Nettletons narration! 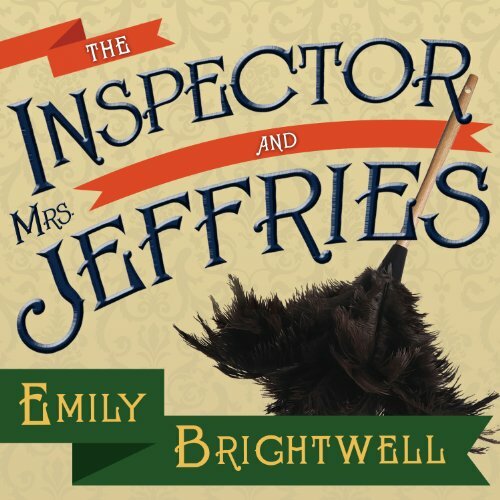 Emily Brightwell is an amazing author, big fan, 10/10. It took me awhile to warm up to the characters. The inspector is a very nice man who couldn’t detect his way out of a paper bag but he is so kind to his household staff that they are eager to cover for him. Besides, detecting is so much more fun than housework! The plot is thin but Mrs. Jeffries and her staff are a nice crowd to hang out with. This one is for cosy fans only. The narrator does a good job.